Bottom Line: Slimquick is a leader in weight-loss for women and targets the six key areas that make weight-loss difficult. Easy to use together with regular exercise and a low-calorie diet. 2. History of the Brand: How Did Slimquick Pure Start? 6. Who’s Slimquick Pure For? 7. How Does Slimquick Pure Work? 8. 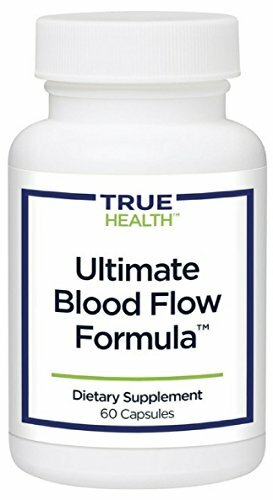 Does Slimquick Pure Work? 13. Any Slimquick Pure Lawsuits? 16. Would Slimquick Pure Work with Your Diet? 17. Verdict: Would I Recommend Slimquick Pure? Let’s talk about Slimquick Pure. I wanted to learn more about the company behind it, the ingredients they use, and the science to support them. I also wanted to see what others had to say about their experience. I must warn you, what I have to say here may surprise some of you. If you’d like to try it for yourself, Slimquick Pure can be purchased through Amazon or using their Official Site. 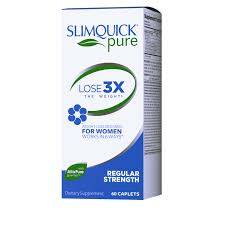 Slimquick Pure is the leading weight-loss brand for women, owned by Wellnx Life Sciences. It targets six key areas that make weight-loss so difficult for women, including low metabolism, lack of energy, stress, and water retention. Myslimquick.com promises to triple the weight-loss as part of a low-calorie diet and regular exercise program. The product is offered in more than one version to fit your preferences and lifestyle: you can buy Slimquick caplets, a berry-flavored drink mix, gummies, and two different protein shakes. It is also available caffeine-free for anyone sensitive to the regular formula. Wellnx launched Slimquick in 2005. It has since become a leader in weight-loss products, especially designed and marketed for women as it can be difficult to lose weight with exercise and diet alone. The Slimquick brand includes eight products: Pure and Extra Strength, Protein Shake, Mixed Berry Drink Mix, Gummies, Caffeine Free, for Men, and as RX-8. The product is offered in more than one version to fit your preferences and lifestyle. 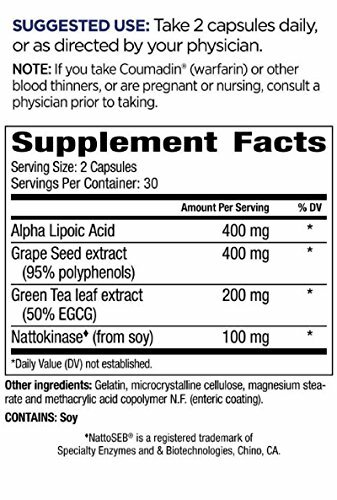 The supplement list for Slimquick Pure lists caffeine, the trademarked Allopure Green Tea™ containing green tea extract and phosphatidylcholine, rhodiola extract, and chaste tree extract, plus other ingredients. Green tea has long been used for weight-loss, and caffeine and rhodiola are to increase energy. The product website also mentions Slimquick containing antioxidants, calcium, and Vitamin D, but this is not immediately clear from the supplements list. Also, according to the information at the National Institutes for Health it seems that more ingredients used to be included but that they been changed over time when compared to the current website. Slimquick Pure is manufactured in the United States. Weight-loss can be a struggle for anyone, but especially so for women. Slimquick targets six key areas involved in weight-loss that make it so hard to lose weight: Stress, Metabolism, Appetite, Energy, Hormones, and Water retention. Any adult can use Slimquick, but it is designed to be used together with a low calorie diet and regular workouts. The main component in Slimquick is AlloPure Green Tea™., a component in green tea said to raise metabolism and burn fat. Together with caffeine and the other ingredients, it increases energy and a sense of wellbeing. The energy also helps with the recommended workouts to burn extra calories. Slimquick works as part of a weight-loss regimen that includes a low-calorie diet and regular exercise. The increase in energy and metabolism, the appetite suppression and reduced water retention make it a great support of your concerted weight-loss effort. Which solves the six key problem areas of weight-loss for women. It also promises to triple weight-loss if used as intended, a claim that is backed by this research study. Slimquick Pure Caplets are neutral in taste. The drink mix is berry-flavored, and the shakes are available in vanilla and chocolate. There are no side effects listed on myslimquick.com. Some Amazon reviewers mention nausea and jitters. For anyone sensitive to caffeine, Slimquick Pure is also available caffeine free. Consuming this product can expose you to chemicals including lead and cadmium which are known to the State of California to cause cancer and birth defects or other reproductive harm. For more information go to www.P65Warnings.ca.gov/food. As always, consult your health care provider before starting a new supplement regimen. The Schmidt Firm, PLLC is currently accepting SlimQuick induced injury cases in all 50 states over reports of liver and heart injuries. In the past, multiple class action lawsuits over claims of false advertising against the manufacturer of Slimquick have been filed and settled. For more information, go here. Amazon buyers offer Slimquick Caplets 2.8 out of 5 stars, with 104 of the 155 reviews being critical. While the main component AlloPure Green Tea™ is a proprietary ingredient, there are numerous supplements available on the market that are based on green tea and caffeine. These include Green Tea Fat Burner, Revolyn, Nuvoryn, Metabolife, and Akavar 20/50, just to name a few. Slimquick is intended as part of a low-calorie diet of your choosing. It is gluten-free, but not vegan or kosher. Slimquick offers a 30 day, 100% money back guarantee. Financially, it is risk free to try and see for yourself what this product can do for you. For me personally, the health issues some users reported and the lawsuits may be of concern. However, as always please consult your health care provider before starting a new supplement or workout regimen.